Have you ever left your jewelry behind in a hotel room? I never have in a hotel room but I did once at a friend's house. 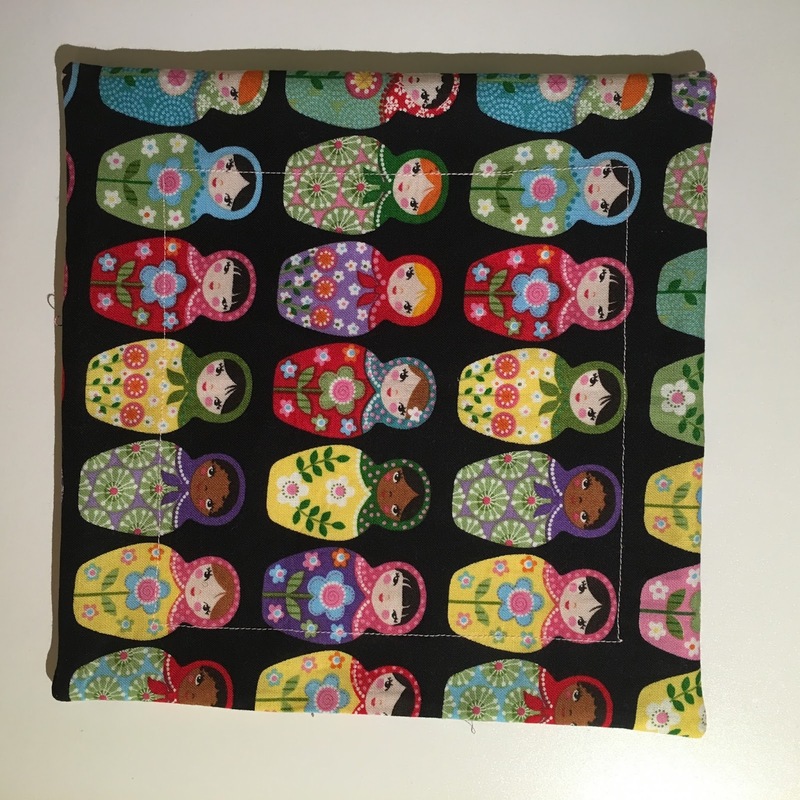 At DeKalb County Quilter's Guild last week, they hosted a Round Robin. Now this wasn't like any Round Robin I was thinking of. But it was fun and I learned a lot. So what does Quilt Guild have to do with leaving my jewelry somewhere? Well.... glad you asked. You see, at Quilt Guild there were various stations set up around the room and each station featured something different. One station was "Disappearing Nine Patch Blocks", another was Disappearing Four Patch Blocks", another was various layouts with pre-cuts, another was "Folded Hexi's", another was "One Seam Flying Geese", and the last one was "Quilted Jewelry Trays". Now, do see where I'm going with this? 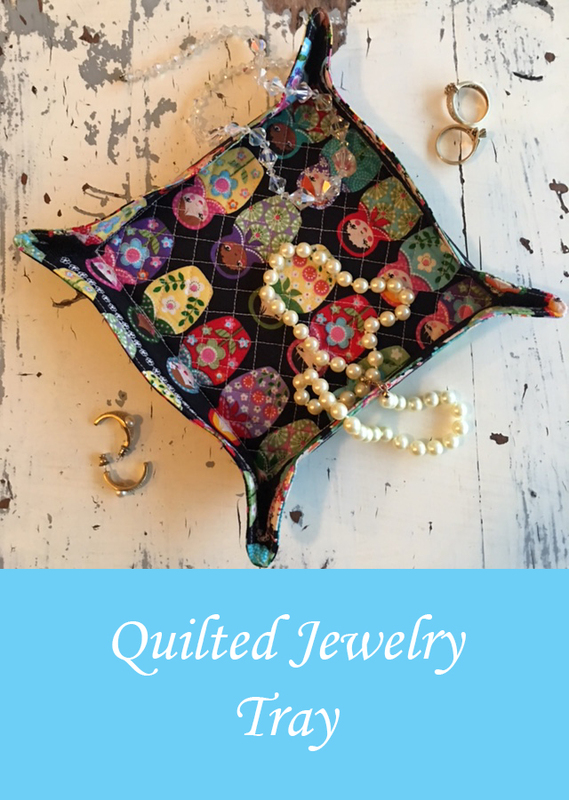 They made these neat little Quilted Jewelry Trays. I modified it a little bit and this is what mine looks like. Here's what you'll need to make a Quilted Jewelry Tray for yourself. Sew around the interfacing very close to the edge of the interfacing. This is what it looks like on the right side of the fabric after sewing all the way around the interfacing square. 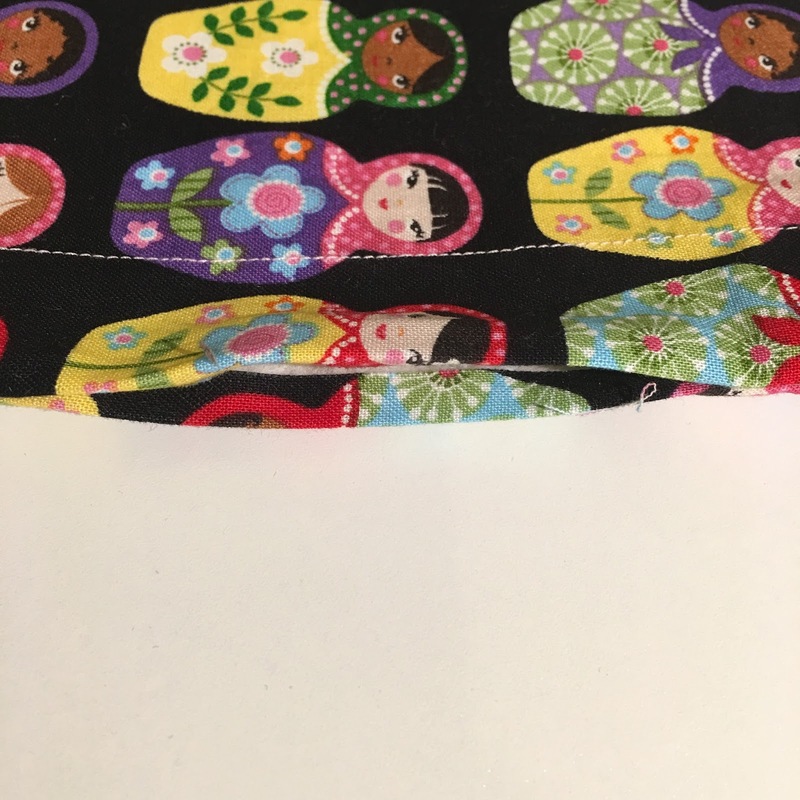 Make a sandwich by placing the two 9" squares of fabric right sides together and then adding the layer of batting on top. I have cut my batting about 1/4" smaller than my squares but it's not necessary, just something I learned to do a long time ago in the sewing world. It does help reduce the bulk in the seam allowance though. Sew around the outer edge of the 9" square on all 4 sides, leaving an opening about 3" long in the middle of one of the sides for turning it right sides out. Here's a close up of my opening. 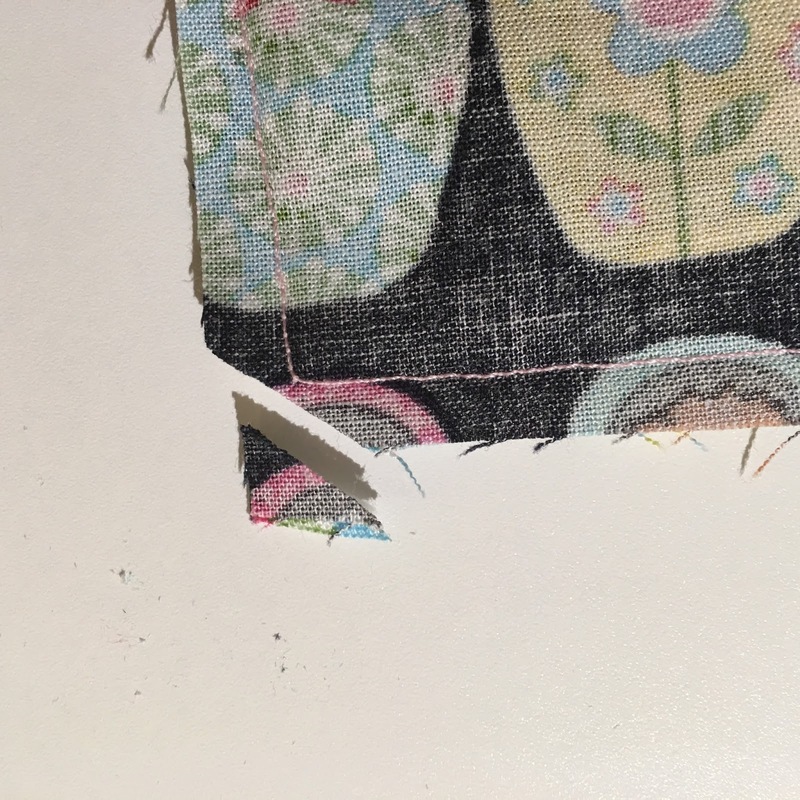 Before you turn it right sides out, I like to trim my batting just inside the opening, again to reduce the bulkiness. 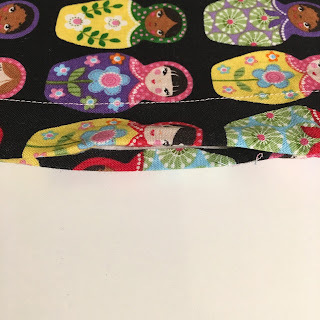 I also like to press the seam allowance open where the opening is on both sides. Trim all four corners off diagonally, being careful not to clip through the stitching. Now you're ready to turn it right sides out. 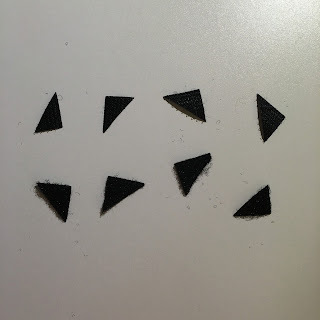 I use a pointy thingy to push my corners out so get them good and square. See how nicely the opening lays and is ready to be closed up. You can do this by hand or by machine. 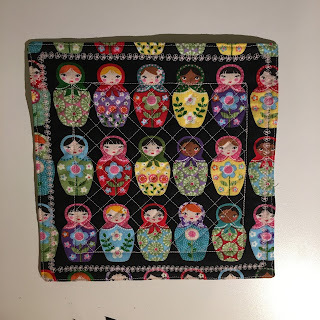 You know I hate the "H" word so I sewed a topstitch line all the way around the edge to close it up. I also added a decorative stitch and did some cross hatch quilting in the center. Now you're ready to add the velcro. 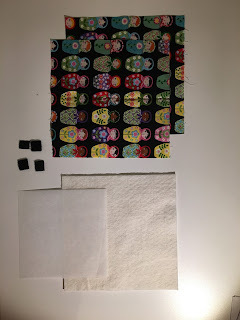 Cut the two square sets of velcro in half diagonally so that you have 4 pairs of triangle velcro sets. 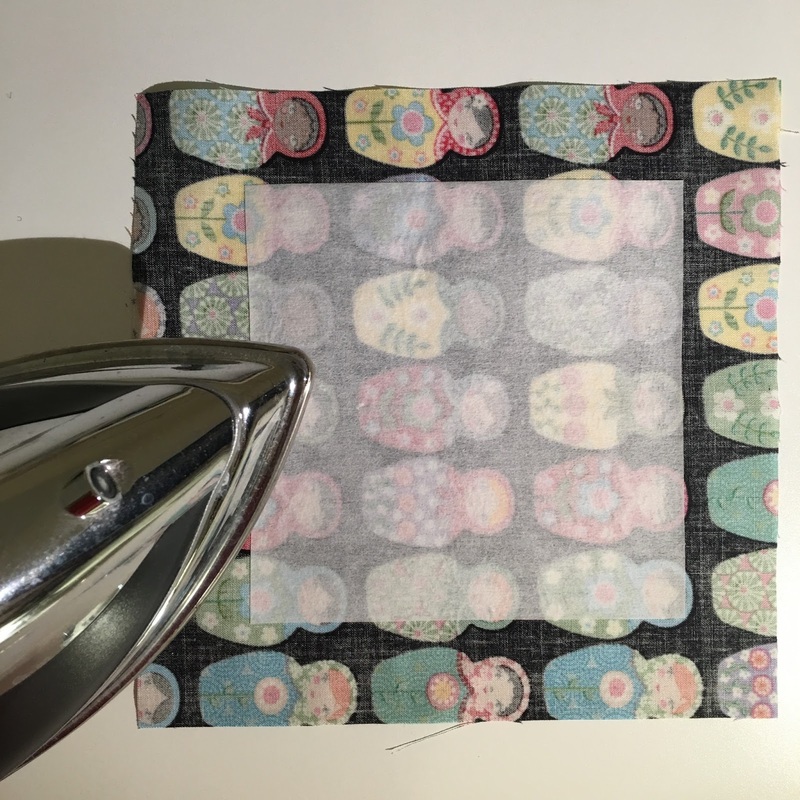 Place a set of triangle velcro to each of the four corners of the tray. Stitch the velcro down. 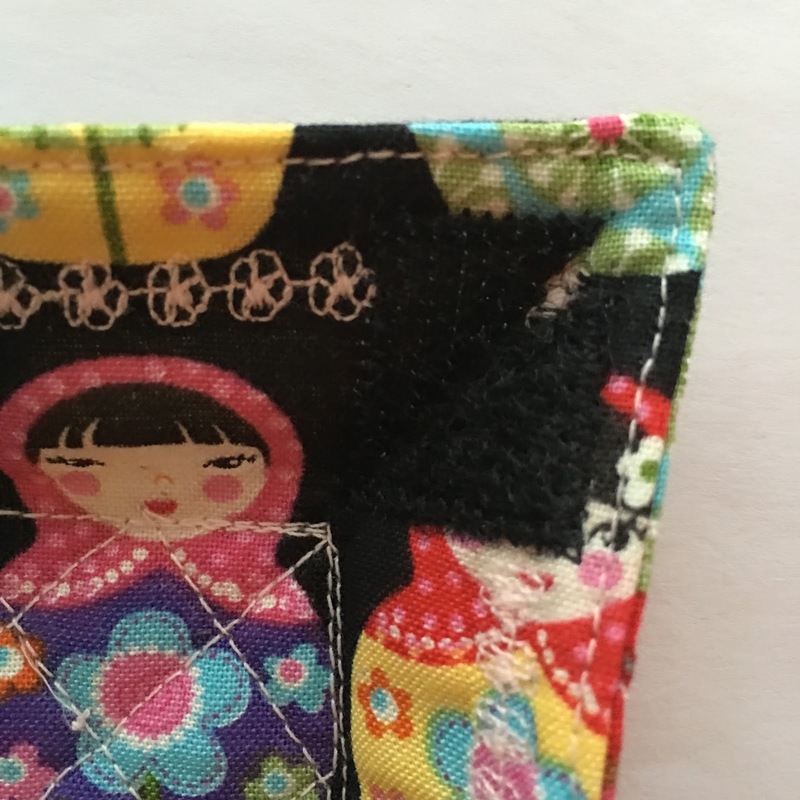 I used a zigzag but you can also use a straight stitch as well. 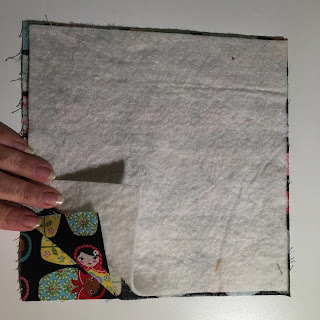 Pinch the two velcro triangles together to bring the sides of the tray up. TaDa! 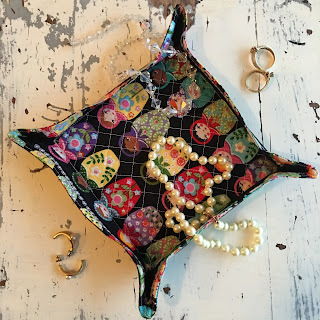 You just made a Quilted Jewelry Tray. Now wasn't that quick and easy! 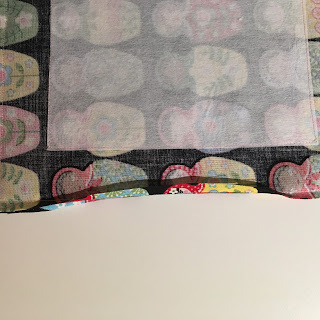 They are easy to spot on a nightstand or dresser and I bet you never leave your jewelry behind while traveling again.